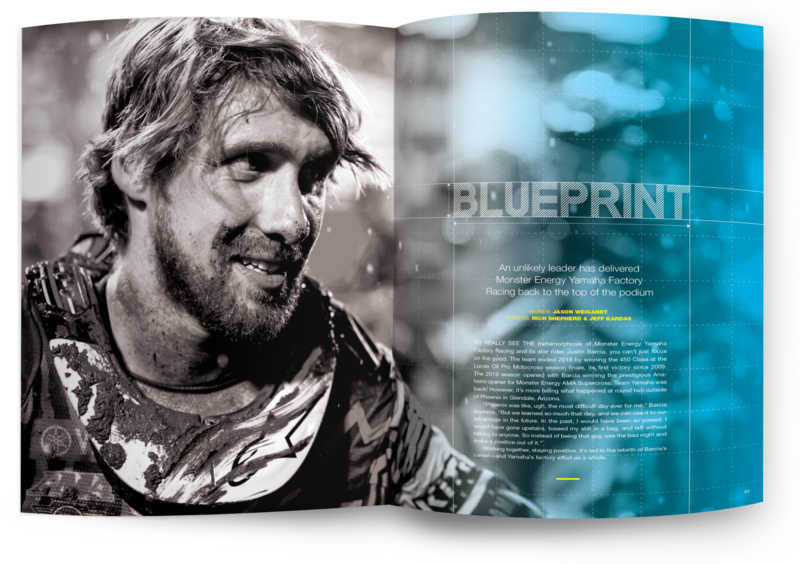 "Blueprint" is featured in the April 2019 issue of Racer X Illustrated. Subscribe now to read the entire article in full. You can pick up the digital edition and read this story right now—and the cost is just $9.98 for the whole year. In Arizona, Barcia and his teammate Aaron Plessinger were not comfortable on the hard, slick desert surface. The team dug through video to find the solution, but it didn’t come. Subscribe now to read more! This isn’t the way Barcia has always been seen. But his maturity has met this team at just the right time. “I’m sure in 2013 he was the young punk over there at Team Honda, and they were dealing with that!” Perry says with a laugh.